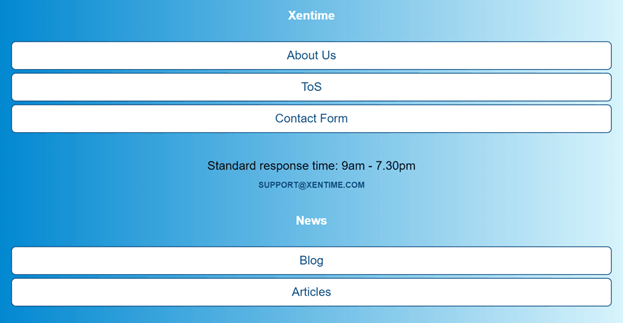 Xentime Review 2019: Is Xentime a Good Hosting? Xentime is a web hosting vendor based in Ukraine. It provides services such as dedicated hosting, VPS, colocation hosting and Integrated Service Digital Network (ISDN), PRI lines, and objects storage. Xentime was founded in 2006 by a group of friends who believed in the power of simplicity and efficiency of web solutions, with the main goal of assisting companies in acquiring and running efficient open source solutions. With servers located in Ukraine, it provides services in English. It has four different packages for its dedicated servers, which all have a bandwidth of 100 Mbit, a port speed of 1 Gbit, backups, free email support, high network availability, unmetered traffic, free email support, and servers hosted in underground Tier III data centers. It also has greatly packaged features for its VPS, which come with varying disk spaces; the lowest starting at 512MB RAM, 25GB HDD, and at least one CPU. Additionally, you’ll also get unlimited traffic, free backups, and a dedicated IP address. The entry-level plan is generally preferred by startups and NGOs while the next plan up is preferred by developers. With either plan, you get an administration interface (control panel), free upgrades and downgrades, and most importantly, you will be avoiding vendor lock-in. In as much as Xentime’s reliability and efficiency index are its main comparative advantages, its price point is quite expensive. However, this is somewhat been cushioned by a money-back guarantee being offered across all packages. Therefore, you can opt out and get a full refund, no questions asked, if you buy and are unhappy with the service. The only thing I don’t like about this is that the duration of the money-back guarantee has not been specified. Xentime offers great support options and free monitoring only for its higher-end packages, meaning that you’re much better placed when choosing the premium plans. This may be higher than your intended budget, however, there are a variety of discounts on offer. For example, at the time of this review being written, if you order a twelve-month dedicated server plan, you not only get free setup, but also a 100% discount on SSL certificates. A six-month plan will get you 50% off of the setup fee and at least 500GB SATA and 3GB HDD. Payments are accepted in the form of Paypal, bitcoin, and bank transfers and payment terms are every month, three months, six months, nine months, or twelve months. Despite having great products and services, I find Xentime’s customer support offerings to be weak. First of all, it does not offer 24/7 support and there’s no live chat available. You can only reach support via ticket or email. I tested the ticket system and haven’t received any feedback for several days now. All of the dedicated server plans feature free email support while only the high-end VPS plan comes with support and monitoring. Xentime doesn’t offer shared web hosting for beginning webmasters but does provide services in VPS, dedicated servers, and colocation through the development of open-source software. Other services offered include PRI lines, ISDN and file storage. Unfortunately, the prices are expensive and the support system is unresponsive. Enjoy great discounts on corporate web hosting solutions with Xentime ! Wondering how Xentime stacks up against other Web Hosting companies? Enter any other Web Hosting company and we will give you a side-by-side comparison.